Multiversum: 4th Generation Relational Blockchain Supporting Biometric Inputs. You probably remember a strong, purportedly unbreakable padlock being used to secure a safe box to, well, keep it safe! These could be breached, so pin-locks were developed. These, too, were not failsafe. By now, you’ve probably come across safes secured with biometric inputs like fingerprints, eye scan or body heat. Better yet, your latest smartphone is probably unlocked with your fingerprint on the sensor. Imagine these biometric inputs being used to secure your digital money: that’s an unbreakable layer of security because no two humans give the same biometric inputs. Writing and storing such information on the blockchain would cloak it with the principles of decentralization and immutability, increasing security for your private data. As much as you desire these features for your crypto funds, the truth is that old generation blockchains lack the capacity. First generation blockchain, in the form of Bitcoin, let you experience sending money via a trustless system. Second generation blockchain, via Ethereum, said now you can dump dumb contracts and go smart contracts. Third generation blockchains said they were going to improve on the previous two, but there were still lacunas to fill. 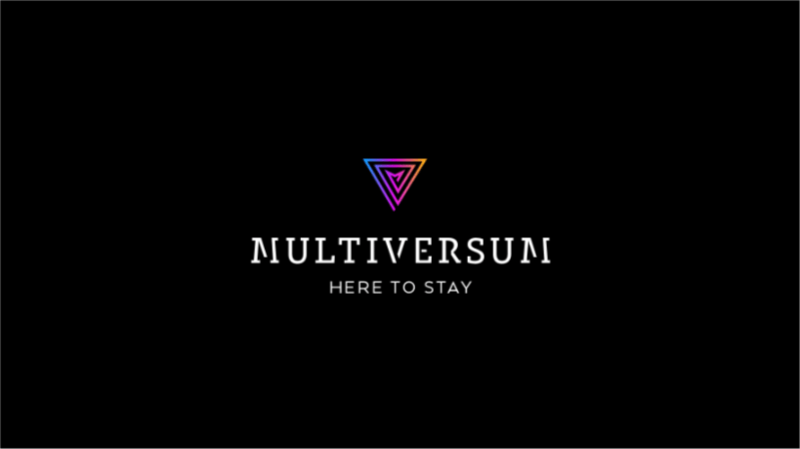 Enter Multiversum to literally save your cryptos. Multiversum is a fourth generation relational database which is flexible and capable of handling complex data structures common in corporate environments. The Multiversum blockchain is brand new and built specifically for the innovative solutions a 4th generation blockchain has to offer: chain splitting, scalability, data sequencing, and parallelism. Transactions are completed faster than you can blink at 0.2 second. That’s a far cry from current transaction speeds of other blockchains. The database’s performance is impressive at 64k TPS (1000 per core TPS), with low power consumption as Proof of Integrity is used in computing. Multiversum supports biometric inputs: with eye scans and fingerprints supported, you can expect some high level of sophistication from your wallets. Data and funds can be transferred using your biometric data. In a centralized system, people’s biometric data are lumped together and made publicly available to virtually everyone with an interest. This raises security issues. What if you could remain partially anonymous and only make available the biometric data needed for a transaction? This is the solution Multiversum offers, which allows you to share the limited subset of your personal data required to satisfy the validation. Adopting biometric inputs eliminates the need for physical documents or ID, which, while they could be needed for certain crypto transactions, could also end up in wrong hands, putting the owner at risk. Biometric data is the ultimate KYC. Combining a user’s biometric and personal info with SHA-256 will produce a unique hash which can be made public, used for verification and still protects the owner’s identity. Proof of Work and Proof of Stake consensus are not used in Multiversum. Proof of Integrity is used instead. The newly-built blockchain is ERC20 and ERC23 compatible. Multiversum solutions can also be hosted on external chains. A mobile App, for both Android and iOS mobiles, is soon to be released for making fast multi currency transactions. Multiversum’s solutions will be deployed in finance, manufacturing, public health, government and private individuals at a trifling cost. In its operations, Multiversum places focus on the three Ps: People, the Planet and of course, Profit. There will be a soft cap of $5 million and hard cap of $65 million during the crowdsale. The launch price for tokens is $1 each with bonuses in both pre-ICO and ICO. You can register for crowdsale here.